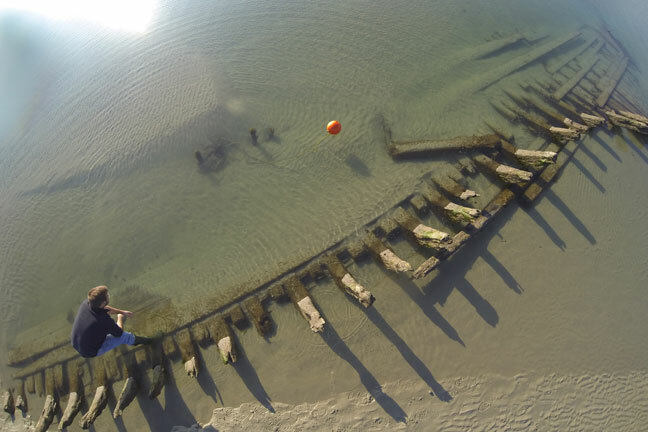 What are the environments that maritime archaeologists work in? 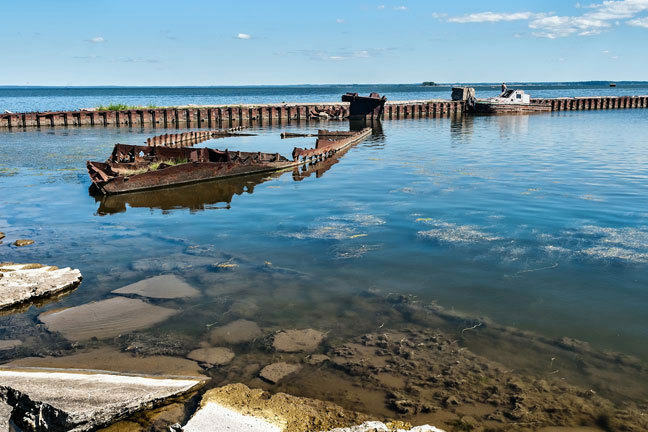 Skeleton of the ship "Noytif" (Neutief) in the harbour at Baltiysk, Russia, a former German air base of seaplanes. Archaeologists often deal with a variety of sites, each unique in its environment and setting. The early days of Maritime Archaeology witnessed a focus on specific types of sites following Keith Muckleroy’s definition of the subject. 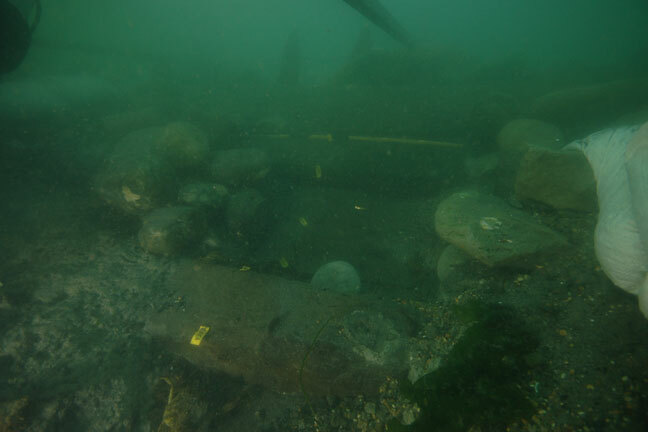 The main concern was for submerged boats and ships, excluding those in a non-maritime context such as grave finds. Submerged ancient land surfaces were also left out. The constraints set by Muckleroy were too restrictive, however, and thereafter challenged by several maritime archaeologists such as Sean McGrail. 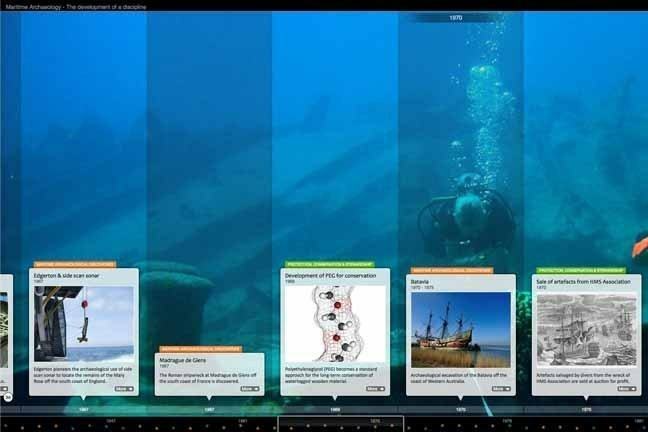 During the last twenty years, there has been a significant change in the breadth of maritime archaeology and shift away from a pure focus on shipwreck sites in a maritime context. The introduction of the concept of maritime cultural landscapes by Christer Westerdahl as a heritage management tool, brought further attention to waterborne transport technology, networks and industries, coastal settlements, ports and harbours, seafaring and seafaring communities, ritual and funerary deposits as well as any related remains of human activity. With the growing awareness of past sea level and climatic changes, and coastal processes, the study of submerged landscapes gained momentum. The construction of dams and transgression of rivers and lakes have created flooded landscapes that once contained cities, dwellings, grave sites and other infrastructure. Erosion, natural sand movement and changing sea level also contributed to a partial or full flooding of terrestrial sites. The oceans’ shoreline, lakes and rivers had always a considerable influence on human population as they offered food supply and opportunity for travel, communication and trade. Therefore, rivers, lakes and wetlands are places of interest as these have been popular locations for human activity. 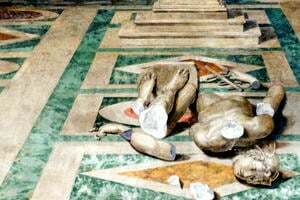 Testifying to this is a rich record of drowned artefacts along historic shorelines, deep in the mud of lakebeds and swamps and along the banks of many ancient rivers and waterways. These include sites which are exposed on the seabed or buried beneath sediments, located offshore. 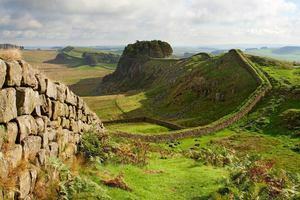 Such sites mainly incorporate shipwrecks and palaeolandscapes. The offshore zone is continually submerged, hence working in such an environment requires a specific set of skills and technology. Diving, systematic underwater excavation methods, the use of AUVs and ROVs, and geophysical surveying, are common practices on offshore sites. These sites are usually less exposed to human activity and thereby better preserved. 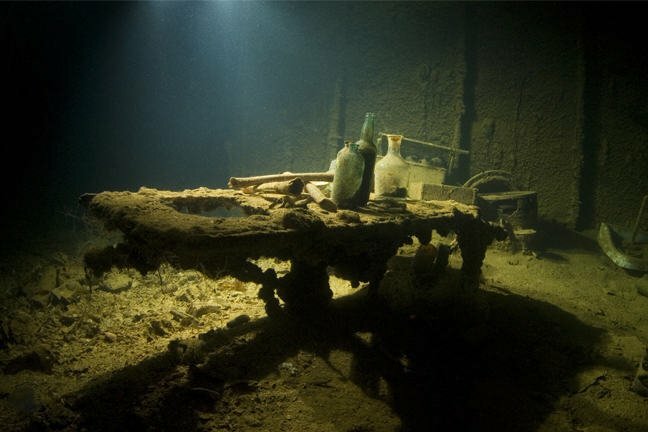 The first underwater excavation to have been carried out by archaeologists was directed by George Bass, an archaeologist from the Museum of the University of Pennsylvania, in 1960. He led a team of archaeologists and excavated a late 2nd millennium BC wreck at Cape Gelidonya in south-western Turkey. 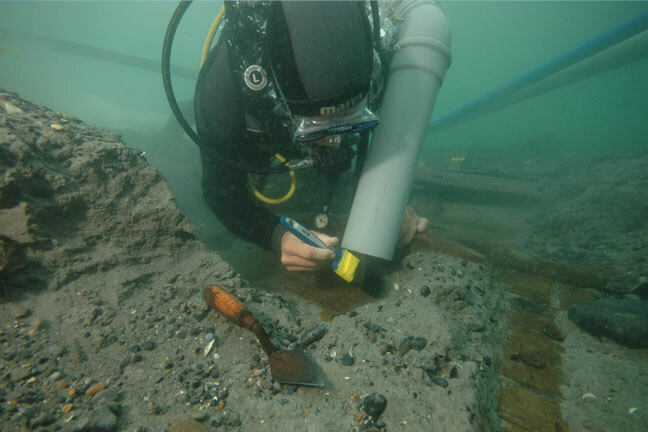 His work demonstrated that archaeologists-led scientific wreck investigation was possible. Nowadays, underwater excavations and surveys benefit from advanced technological developments in oceanographic sciences allowing archaeologists to transcend depth limits, and leading to new discoveries (e.g. the Mars wreck). 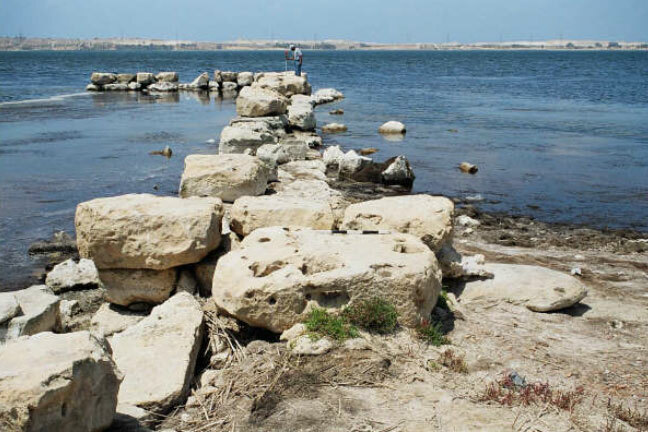 Coastal and intertidal archaeological sites are most prone to changes due to erosion, sea level changes, sedimentation, human activities, and urban developments. These sites, however, afford a unique perspective for maritime archaeologists since they are located in areas subject to terrestrial and maritime activities. The intertidal zone is greatly affected by tides as it lies below water on high tides and above water on low tides. In this zone, harbour infrastructures, submerged prehistoric sites which were flooded, and abandoned or wrecked boats and ships can be found. The coastal area on the other hand, the interface where the land and ocean meet, encompassing shoreline environments and adjacent land, has a great potential in unravelling marine exploitation activities, harbour installations, boat building traditions, and human settlements and movements. The idea that coastlines acted as migration corridors in prehistory is not a new one. Coastal migration is supported by the concept of the predictability and dependability of the coastal zone whereby migration along the coast is more predictable than land crossing since the coast retains its subsistence elements. 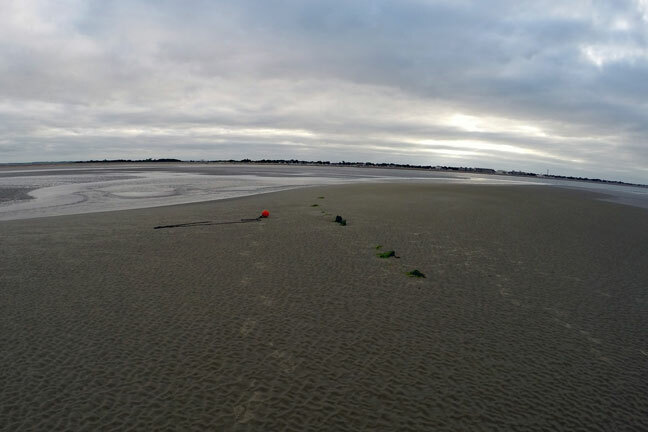 Coastal and intertidal archaeological sites are also significant indicators of past sea levels, especially submerged settlements that can be dated, and installations that were meant to be partly submerged and are now either exposed or totally underwater such as harbour slipways. The means of investigation such areas follow the general archaeological practices of excavation, surveys, and geoarchaeological studies. Additionally, ethnographic research in coastal areas gives insight on living maritime traditions. As the beginning of Underwater Archaeology, dating back to the turn of the 19th-20th century, focused mainly on marine archaeology, the existence of cultural heritage found in rivers and lakes was indeed acknowledged, but rarely pursued. The physical conditions of rivers vary from those at sea. 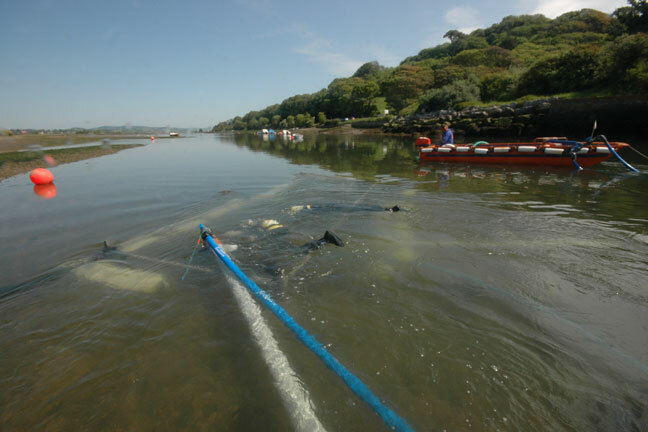 Rivers are usually shallow, with low visibility and strong currents. The first small-scale underwater survey of rivers occurred in France in the 1960s. A great influence on the development of River Archaeology was the work of Louis Bonnamour in the Saône River and the surveys of French rivers such as the Rhône, Charente and Seine undertaken by the Department des Recherches Subaquatiques et Sous-marines in the 1990s. The study of the cultural heritage of rivers reveals astonishing artefacts from prehistoric to modern times including earthwork fortifications, watermills, infrastructure for ferries and also disposed or sunken boats, such as a logboat “cemetery” dating to the 11-13th century discovered in southern Hungary in 2005. In terms of the technology employed, aerial photography and satellite images are used to detect ancient riverbeds, roads and bridges. Moreover, isometric mapping of the riverbed allows the archaeologist to detect artificial moles and dams. Prehistoric lake dwellings are known from Switzerland, Austria, Germany, France, Italy and Slovenia from the mid 19th century. They are located deep in lakes or buried in sand on lakeshores. The cold and low water movement, and sands have created exceptional conditions in which an extensive record of prehistory has been preserved. The unusual low level of Lake Zurich in 1854 facilitated the discovery of hundreds of wooden piles driven into the earth, and stone tools of an ancient lake-dwellers’ village. This discovery received great attention among the scientific community in all of Europe and opened up a new scientific niche in underwater archaeology. Lakes worldwide are now a focus of research, and provide great insight into human interaction with this particular body of water from prehistoric to modern times. Lakes can be a dangerous environment to work in and require specific skills and training. Low visibility, extreme cold, strong currents, caves, dead water*, underwater trees and other obstacles can pose a great threat to divers. Wetlands are the most biodiverse habitats in the world and consist of shallow areas of land that are covered with fresh- or saltwater that allow the growth of rooted or anchored plants. The formation of wetlands begins with the saturation of land habitat. When glaciers retreated at the end of the last Ice Age and the shallow depressions left over filled with water, sediment and organic debris accumulated in the depression and left behind shallow wetland ponds surrounded by dry land. Wetlands also form when rivers overflow, and changes in sea level or heavy rainfall saturate dry areas. There are coastal tidal wetlands, salt marshes, and inland freshwater wetlands and ponds. Wetlands offer great opportunities for the use of natural resources, trade and transport where water and land meet. People often constructed wooden and stone trackways and platforms to enable activities at the edge of wetlands. Such areas generally have good preservation of organic materials such as timber, bone, and textiles and their study provides information on socio-economic organisation and resource procurement of prehistoric communities. In summary, maritime archaeologists work in a range of site types, underwater and terrestrial, that fall within the maritime sphere of affairs in any social, economic, political, ritualistic, and technological form. *Dead water is a phenomenon which occurs when a layer of fresh water rests on top of denser salt water, without the two layers mixing. This can generate sub-surface waves, invisible above the waterline, which can lead to boats slowing down or even being stopped.